According to Wikipedia, School spirit is "emotional support for one's educational institution." [Source] Contrary to your opinion, it is has NOTHING to do with Madam Koin-Koin, bush babies, and other unexplained mysteries that plague the Nigerian school landscape. (Really, Relentless? School and landscape in one sentence? Must be this heat wave). Madam Koin-Koin would win the title for The School Spirit, which is not what I wanted to discuss here today. (Aside: I wonder if she wears Louboutins. If you see her, you can ask her). I was thinking of school spirit in terms of showing support for your school. Here in the US, showing your school spirit usually means parting with some cash (or swiping your card) to buy merchandise that has your school logo and/or name on it. It's a money-making venture that schools take advantage of. I reckon there's no end to students who bleed "orange and white" or whatever your schools colors are (No, I did not attend the University of Texas). One of my favorite pastimes is to look at people's license plates in the state where I live, and try to see those who have vanity license plates that has an out-of-state school logo/name on it. I just get tickled every time I see it because you would be surprised at some of the places where people have gone just to attend school. I have observed that showing your school spirit is connected to your the sports/athletic teams in your school e.g. football team, basketball team, baseball team, etc. You get the picture. However, I have not observed this with Nigerian schools. Of course, I am mostly referring to universities, but it cuts across all levels of education. I have noticed that with Nigerian schools, you can sense (and sometimes see) a lot of school pride oozing from those who have graduated from federal universities, but not so much, if any, from state universities and polytechnics. That might have to do with the quality and standard of education offered in federal universities versus state universities and polytechnics. The lack of strong university sports teams might also be factor. For goodness sakes, do we even value our own National sports teams or clubs, talkless of the ones at the university level? If your answer is yes, then please tell me, when was the last time you saw somebody cheering for the Calabar Roofers over and above Manchester United or Chelsea, for example. Aha! I didn't think so. I look forward to the day when I will see license plates reading "MAULAG Alumni" for example. Sorry, I meant to say "UNILAG Alumni." Or wait, maybe that is already the case. I am depending on you guys for answers o, so here's my question: What displays of school spirit (if any) have you personally seen, relating to Nigerian schools (e.g. license plates, t-shirts, mugs, iPads, etc)? Kindly share what you saw, and if you can remember, what school it was. 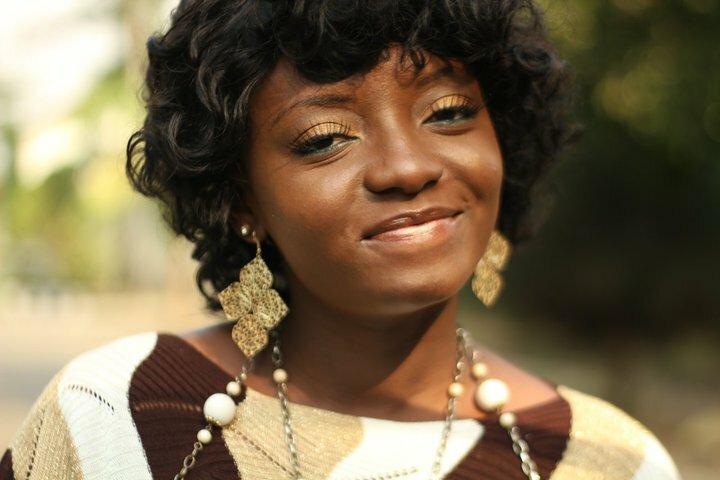 Ogecha was the first female artiste to be featured on this blog. I have previously shared her singles, All for you, A brand new thing and Ubangiji with you. Sadly, I am yet to lay my hands on a copy of her debut album, All For You, which was a collection of the aforementioned singles, and many other uplifting songs. Hopefully, that will change before 2012 is over. Hopefully. However, while still waiting to sample the rest of the songs on her album, I had to make do with the song clips she had on her Reverbnation page for months. One day, as I was jeje-ly cruising past, I saw that another one of her songs was being offered as a Free Download. I almost fell off my chair (or whatever I was sitting on) with excitement. No, I did not fall. I said I almost did. Thankfully, since I did not need to pick myself off the floor, I devoted that time to listen and download the song, and you know what? It was worth the wait! The song is called Dumimaja. I tried to get Siri to play it, but she seems to have a hard time pronouncing non-English names. Thank God Ogecha included the alternative English translation for the song title. Siri gets that one easily, and it is "Hide Me." So, here is Dumimaja (Hide Me) by Ogecha. Did I mention that she wrote the song too? Yes, Ogecha is also a songwriter. Likes: Ogecha's vocals are the most important part of this song, in my opinion, and she does not disappoint in that department. Her strong vocals are what makes this song stand out in my mind. The next best thing to the vocals (or if you like, the other most important aspect of this song) is the use of language. I am guessing she sings this song in Igala, and she restricts it mostly to the chorus. What truly fascinates me about this song is the way she navigates through the chorus, effortlessly blending the Igala lyrics with the rest of the song without changing the tempo or pace of the music. I had to ask myself over and over again if she was not still singing in English for that portion of the song because it does sound like English sometimes. In other words, she makes you want to beg her to teach you Igala. It's as if she understands how to extract the musical quality in her language and weave it to her advantage into a song that is written predominantly in English. Apart from the skillful use of language, the instruments provide a calm, peaceful backdrop for the music. Furthermore, they also reflect the bi-lingual factor I mentioned above. The background vocals literally support Ogecha's performance. The song is well-written, and the arrangement is good. Dislikes: I feel like she "held back" a bit on this track. From the beginning, you get the sense that this song is slowly building up to a climax. That climax or high point was after the bridge which was written in English. That's when she comes, guns blazing and attacks the song with gusto and enthusiasm. Her weapon of choice? Adlibs, of course. But, you see, that is towards the end of the song. So what ends up happening is that the song, for the most part, is mellow. I felt she could have been more creative with the adlibs right from the beginning, and that would have added color to the song. Recommendations: More creativity with the adlibs, and introduce them earlier in the song. Nollywood Reinvented: *goes off to Google HBU Huskies* Oh, now I know what school and team you're referring to :-) I usually have no idea what mascot belongs to which school. Thankfully, Google is my friend. Now this is an artist I know personally... maybe I can talk to her about sending you a copy... let me know (yea seriously). I like her alot too. For an artist to steal my heart away completely, they just have to be real on stage, beyond the 'studio something' and she is one of them I've watched live and was blessed. So all artist I'v not watched live you still got some part of the heart... lol. Abeg, don't let us show you on your blog oo. Maulag kooo..... The Federal High Court has suspended any renaming, so it is Unilag ooo. Jonathan cannot win this particular case. 31st Chain: Such a small world! You know Ogecha personally? Who would have thought? But of course I would LOVE a copy. This is me letting you know that I want one o.
LOL @ other artistes having "some" heart. I wouldn't put it like that. Some people have stage presence, and some just sing on stage. Two different things. Atilola: But it was MAULAG for a while now ... LOL! Let's keep our fingers crossed and hope they follow through with reversing the re-naming. I forgot all about NUGA games. Can you imagine? You just reminded me. But, they are not as popular as the ones here in the US. Here, I think Sports is like another Religion. No kidding! Students and alumnis' devotion to their schools sports teams is crazy. They don't joke with it. Good point o. We had such strong school spirit in the US, not sure how we can get the same thing going in Nigeria. Maybe more soccer competitions and games might help out...who knows. But really a striking observation. Ofili: The soccer competitions and games might help like you suggested, but I think school pride would come first, and that is connected with the quality of education.